 Looking to retire and buy real estate in the Texas Hill Country? This 10-page retirement guide offers advice on choosing a location to retire, selecting a property, what to look for in a developer and much more. Complete the form to view the guide. 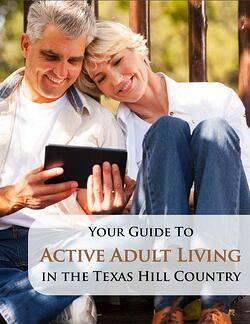 View the official Hill Country Active Adult Living Guide now! Obtain the Property Report required by Federal law and read it before signing anything. No federal agency had judged the merits or value, if any, of this property. These materials are used for advertising purposes and the features, facilities and amenities described and depicted herein are based upon current development plans, which are subject to change without notice, and no guarantee is made that they will be built or, if built, will be of the same type, size or nature as depicted or described. Actual development may not be as currently proposed. Photos may not be related to the subdivision. Actual views may vary. This material shall not constitute a valid offer in any state where prior registration is required or where state registration requirements have not been met. Void where prohibited by law. Separate membership fees apply to SouthStar Golf® communities.